Your eyes are controlled by one of the most utilized muscles in your body. They are functioning all throughout your waking hours, and even during REM sleep. Because of this, your eyes are easily subject to stress, making them also susceptible to wear and tear as time goes by. But no matter how many glasses you wear throughout your life, your eyes will never achieve their previous 20/20 vision if you do not develop good visual therapy habits. Vision problems such as myopia (nearsightedness), amblyopia (lazy eye), strabismus (cross-eyes), convergence disorders and the like, quite commonly result from poor visual habits that we learn from childhood. You'll be happy to know that these visual habits can quite easily be changed, and even though your eye doctor, optometrist or ophthalmologist won't like to admit it, changing your visual habits can quite easily lead to better vision without glasses. But Why Would Your Eye Doctor Claim That Visual Therapy Exercises Don't Work? The reasons are many, and they mostly stem from the fact that no-one stands to profit from teaching you how to improve your eyesight naturally. The only person who profits is YOU, the patient. Few people, bodies and institutions are willing to spend thousands of dollars on scientific research projects to provide evidence that vision therapy exercises work, when there is no money to be made from it. 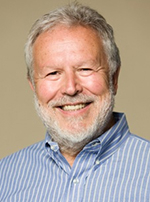 Because of a lack of large and expensive clinical trails on the efficacy of vision therapy techniques, these methods have not been adopted into mainstream medicine, optometry or ophthalmology. For this reason, visual therapy techniques are not in your eye doctor's curriculum – they are not even mentioned in medical textbooks or books on optometry. "So the main reason your eye doctor won't tell you how to improve your vision naturally, is because he himself doesn't know!" The Fact However, Is That Many Thousands Of People Around The World Have Learned To Improved Their Eyesight Naturally Using Visual Therapy Training. Those who have not thrown away their glasses and contact lenses have gone on to wear thinner and thinner glasses that they are less and less dependent upon. Imagine not having to search for your glasses to read that post-it note, check out that billboard, or look at the time. Imagine in the summer for example – going to the beach, lying in the sun and going for a swim without having to worry about your glasses. To make all this happen, all you need is a bit of visual re-training. "You can do all the reading, relaxing, sports and activities you want without having to worry about your eyes letting you down." The best part is that anyone can do it. The exercises and techniques involved for improving your vision are all very simple and easy to master. They do not require much dedication and can quite easily be performed by children and those with learning disabilities. The following visual therapy habits can help you achieve better vision in two ways. The first is through relaxation of your eyes, so that you do not accumulate too much visual stress. The second way is through making you more mentally focused and alert, since the mind can also influence the workings of your eyes. The trick here in order not to strain your eyes is to focus on certain objects, and then change your focus every now and then. Remember that you also have your peripheral vision when you start focusing on one object. There are things that you can see from the sides and above and beneath the object that you are focusing on. Staring at something causes a lot of stress and pressure on your eyes, so remember to make use of both your central and peripheral vision. Those with poor visual techniques usually think that concentrating on one object can positively help their eyesight. What they don’t know is that balanced vision results from the coordination of both the central and peripheral vision. Moreover, being aware of your whole visual field can also help you avoid accidents and make you aware of what goes on in your surroundings. It is also important to keep your eyes moving by changing your focus every now and then. This is especially advisable for people who are into the habit of staring too much. This can also release tension in your eyes, hence relaxing them. An example is when you are working in front of the computer screen for a long time. As a visual therapy exercise, It will help to focus on something else in the distance every 3 minutes or so. 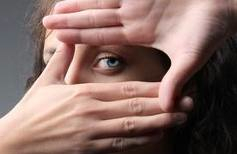 Use your peripheral vision to master this technique of changing focus. Believe it or not, relaxing your mind and body can also be of great help to your visual therapy. The tension in your body, especially your face and the upper part of your body, can adversely affect your vision. Loosening your jaw and relaxing your forehead and shoulders makes blood and oxygen circulation better not just in these parts but also in your eyes. Better circulation means better cleansing of your body, as it enhances the function of your circulatory and lymphatic system, thereby eliminating the toxins that are detrimental to your vision. Even proper posture can have an effect on your vision, as postural imbalances can increase the tension in the upper part of your body. Breathing exercises are also important not just for lung expansion but also for better circulation. Remember that 30% of the oxygen that you inhale goes to your muscles, nerves, brain and eyes. Notice that you cannot concentrate on anything when you are breathing shallowly and irregularly. Rhythmic breathing can help you in concentrating, as well as in eliminating strain and fatigue in your eyes. 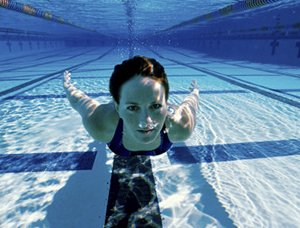 Aerobic activities, such as running and swimming, are one of the best ways to train your breathing techniques and hence, improve your vision. You can also employ some exercises and relaxation techniques in your eyes to aid you in your visual training. Palming is one way of relaxing your eyes. This is done by closing your eyes and cupping your palms over them. This helps you achieve total darkness, which makes your eyes rest completely. Palming can be done anytime and anywhere, especially when you feel tired. It only takes 30-40 seconds of your time. Another exercise to help you achieve clearer vision is blinking. Blinking helps cleanse and lubricate the eyes. Although blinking is a reflex action which happens 10-12 times every minute, some people with poor vision tend to stare unconsciously at an object for long periods of time without blinking in the hopes of seeing clearly. Hence, their eyes feel tired and dry afterwards. In these cases, you can try to consciously blink every 3-5 seconds. You don’t necessarily have to time yourself while doing this; you just have to remind yourself not to stare and to blink every now and then. This also provides some exercise to the muscles controlling your eyelids. You can also practice flutter blinking, which is an exercise that you can do every time your eyes feel tired or strained. This is done through blinking lightly and rapidly 10 to 20 times. Remember not to squeeze your eyes when doing this – it is important to relax your facial muscles as you do flutter blinking. Afterwards, close your eyes completely and relax. You can repeat this exercise for 2-3 times until your eyes feel totally relaxed. The above are just a few examples of relaxation techniques and eye exercises for the treatment of impaired vision. Others include vergence (convergence and divergence) training, shifting, swinging, edging, eye stretches, eye squeezes and many more. To learn about these, and other powerful methods on improving your eyesight naturally, click the link to uncover the method I used to gain perfect vision in just a few weeks.